Ohhhhh wow!!! I’ve felt a little ‘what to do now’ since myself and @lyndascraftroom finished our mission, don’t get me wrong I’ve got plenty of WIP but nothing to really get me going. 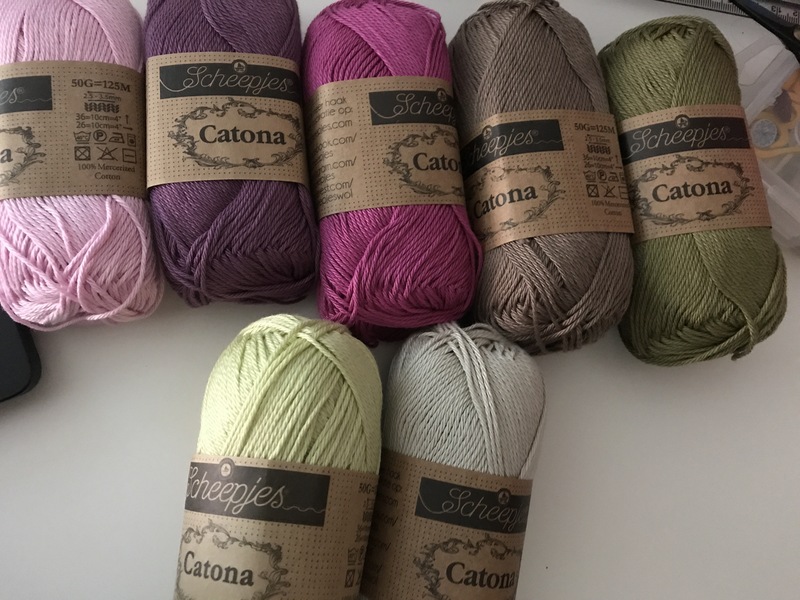 Until I came across a CAL that someone had shared on Facebook from a fabulous crochet designer called @mijocrochet I saw a shawl in the most beautiful colours and thought I just have to have it! It’s made using scheepjes catona which I am a huge fan of anyway, so I was more than happy to put in an order with wool warehouse, within less than 24 hours I was cracking on with my @mijocrochet shawl. 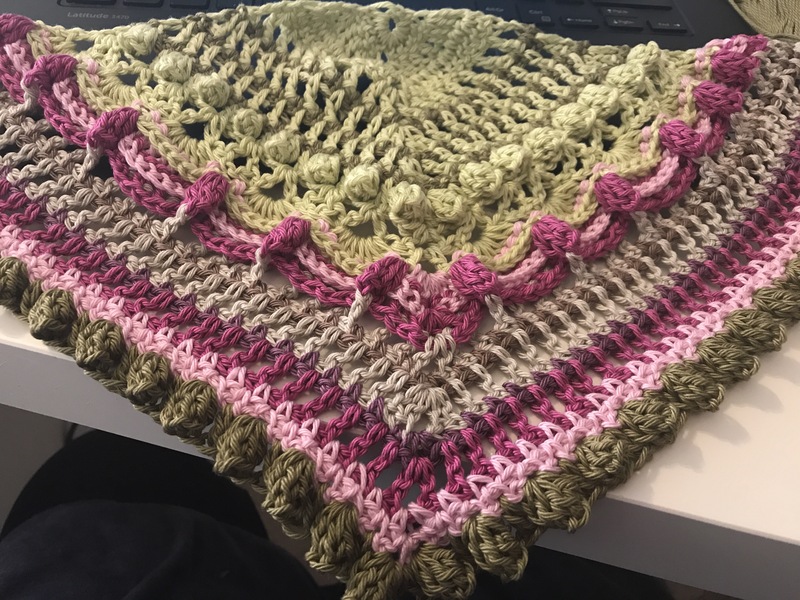 The CAL is called lost in time, and I really have gotten lost in time with it, it’s simply stunning, the scheepjes is stunning too, you must go and have a look at her blog, Mijo crochet the pattern is free download. I am literally loving every single stitch, I do feel a bit naughty as I have pinched someone else’s colourway, but I just had to have it. Anyway I know I keep going on about our secret mission, but it’s such a relief to finish it and fingers crossed We can tell you about it all very soon! Anyway far too busy with my lost in time shawl off to do some more! It is a lovely shawl, and who could blame you for stealing that colourway? It’s fab! 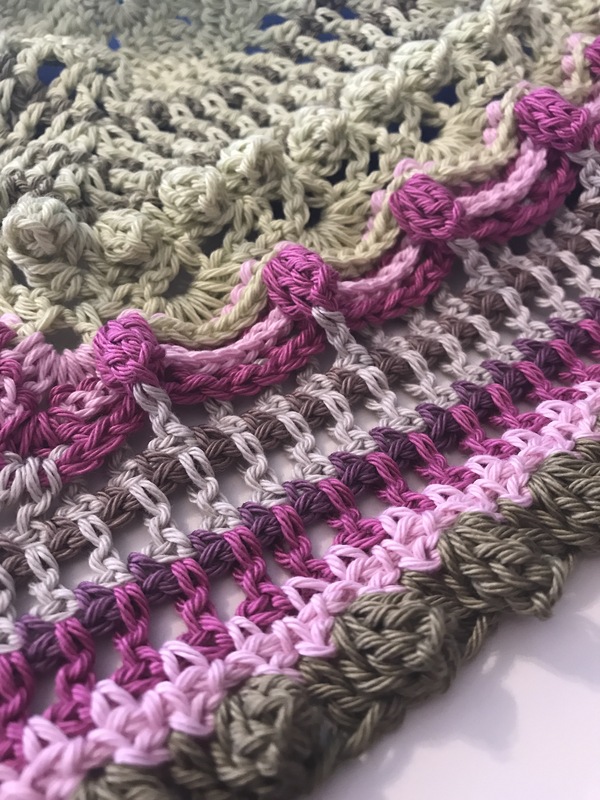 Does the yarn for this pattern come on a kit? For the origional jewel tones?